His dam was a G2 winner and the rest of his female family was bred by Edward P. Evans for generations, and includes some really, really nice mares straight back to Gallorette. Anyone know where he ended up? I worked with him as a yearling and he was a teddy bear! Bad stifles though, so I'm not entirely surprised racing didn't work out but hoping he has a great forever home! Recently retired Strike A Balance (Smart Strike X Balance) was adopted through Second Stride. Life At Zen wrote: Recently retired Strike A Balance (Smart Strike X Balance) was adopted through Second Stride. 15.2 hands, very small boy! I think he must have gone fast because of his pedigree. One Brave Warrior, out of SW Dream About. 2-time GSP Scotland is up for adoption at New Vocations. I wish I wasn't in grad school because he is perfect for my collection and would replace my now fully retired 17-year-old OTTB - 5 years old, 16.1 1/2, sound for flat riding only, and of course a chestnut....and $500 gets you this nice horse. Wanted to post this somewhere. He looks good in his prep for a new job. Hope he passes with flying colors! Majestic Cause is in training at the Fort Lauderdale Mounted Police Department and getting used to the obstacles he will encounter patrolling the streets and beaches. Hopes are that he will be ready for the final exam in 90 days, which includes having his officer shoot blanks while in the saddle! Majestic Cause won at Gulfstream Park, and retired with earnings of $53,000. He worked the bullet at the Keeneland April Sale a few years back so will be well suited to pursuit! Sparrow Castle wrote: Wanted to post this somewhere. He looks good in his prep for a new job. Hope he passes with flying colors! He'll be one of the more expensive things on the force. He was a $700k 2-yr-old in training! Amazing isn't it. Can't imagine risking that much, but then our horses don't compare to Stonestreet's. We have fun with them anyway, and just glad to get them good homes when the time comes. He looks like he's doing a great job. He's a Grade 3 winner and a full brother to Winslow Homer and a half to Grade 2 winner Lewis Bay. His dam was a Grade 3 winner herself, and his 2nd dam is a half to Wild Rush. He's a pretty boy, and with that pedigree, I suspect that he cost a pretty penny if he ever went through an auction. BaroqueAgain1 wrote: He's a pretty boy, and with that pedigree, I suspect that he cost a pretty penny if he ever went through an auction. He sold at the KEEAPR 2013 two-year olds in training sale for $180,000 to Mike Repole. He's gorgeous! Fancy fancy Misconnect! Nice to see he has been gelded and will be someone's nice riding horse. I am jealous of whomever gets him!!! Majestic Raffy (Raffie's Majesty x Badger Pocket) has been retired after a career of 41-4-8-4, stakes placed and just $51 shy of $300k in earnings. All of his starts came at Belmont, Aqueduct, or Saratoga. He's a full brother to current stakes-placed runner Moneyinyour Pocket, who has made 42 starts so far. Raffy is sweet and friendly and loves to play. He has enjoyed lots of turnout and is great with his pasture mates. 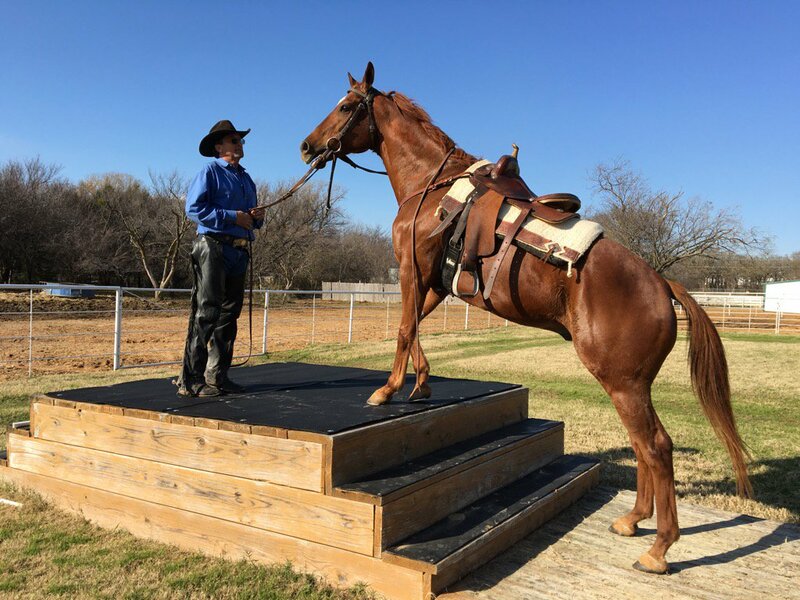 He was a very successful race horse and has a “been there, done that” attitude under saddle. This guy is confident and sure of himself in the arena and outside. He takes everything in stride and is happy to hack out alone or in company. Raffy came to New Vocations via the NYTHA Take The Lead Program. We are very thankful for their support. They say he has a "a cute face and a sweet, curious nature... kind of a big goofy guy that gives you the impression he hasn’t quite grown into his large frame yet, but he tries hard at whatever task you give him." He apparently stands at 17 1/2 hands! He really is attractive. If his mane, tail and legs stay black as his body becomes lighter? Wow. And those big, dark eyes! A silver charger with black mane and tail would turn heads in any arena. I love Majestic Raffy, he is a very good looking horse. I love the way he's built, such a lovely neck and bright eye.